Typical large textile process uses large quantities of air in different phases of the process. As the air is in direct contact with the end product, the risk of air contaminants (oil, silicone, PTFE) typically found in “oil-free” dry screw compressors cannot be tolerated. As the processes typically also utilize hot water, the Tamturbo® Technology provides an extra benefit – even 93% of the consumed energy is recovered as standard to be used in the plant for washing, bleaching, chemical processes, always as standard. And the hot water is very usable as it can be 65C° temperature, making it usable also in hygienic processes. Typically, the air consumption in the textile segment is varying, depending on the production cycles and machine operation. 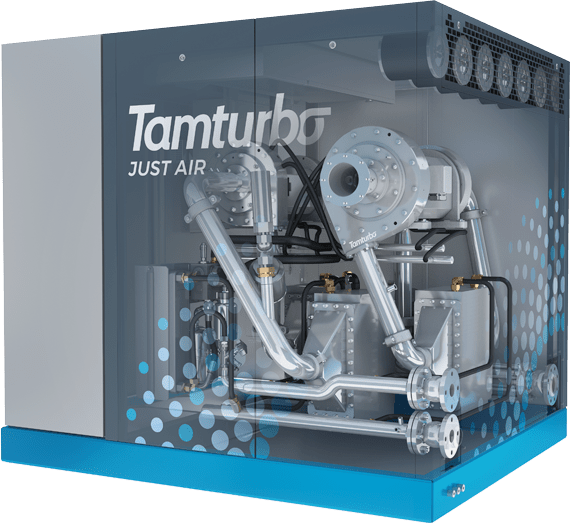 With a turndown range of even 60% at good efficiency the Tamturbo solution is ideal for this kind of cyclical usage. There the Tamturbo product is also best-in-class.